Posted on August 29, 2013 - Get free updates of new posts here. Every day hundreds of domain names that were registered expire or are dropped, either because the business has closed, because the registrant didn’t wish to spend any more money on it, or by mistake. Once a domain name expires there is a ‘holding period’ of 90 days where the domain is placed in ‘pending release’ status and the registrant can renew the domain. During this time any website which is on the domain name will not work, giving anyone who has made a mistake time to re-register. After the holding period the registrar releases a list of all the expiring domain names on a given day which are then made available to be registered 48 hours later, on a first come first served basis. It is easy to find an expiring domain name you want, but how do you get in first and register it if a number of people are trying at the same time? Domain name snappers. Essentially, a domain name snapper is a service offered by registrars and private companies where they use their technology and speed to register the domain name on your behalf. 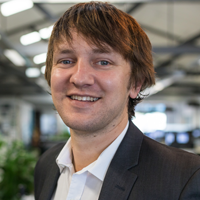 As the fastest person to successfully register the domain name will get it, the snappers use efficient coding and any other means they have (such as setting up an office right next to the registrar) to ensure they are first in the queue and ultimately win the domain name on your behalf. Similar to high speed share trading, every split-second counts especially on high value domain names that are in hot demand. To decide who the domain name snapper is going to attempt to register the domain name for, they run a daily auction for all expiring domains on the following day. Each of these domains is added to the website at least 24 hours before they are released back onto the market with an auction taking place during this time. At the end of the auction period the domain name snapper will then attempt to register the domain name for the top bidder. If successful the top bidder will pay the auction amount plus any applicable fees. There are two main companies that offer this service for securing New Zealand domain names. ExpiredDomains.co.nz – Partnering with 1stDomains.co.nz and RegisterDirect.co.nz this website is the leading domain name snapper for expired domain names. Each auction finishes at 12.15am NZ time with a minimum bid of $24.50 per domain name which includes a 1 year registration and no additional fees. Auctions will extend if a bid is placed in the last 3 minutes with final cut off at 12.25am. Netfleet.com.au – Australia’s biggest domain name snapper are partnered with NetRegistry.com.au and have recently branched out into New Zealand domain names. Their auctions close at 3pm NZ time every day and incur a $50au fee on top of the auction bid which includes a 2 year registration. 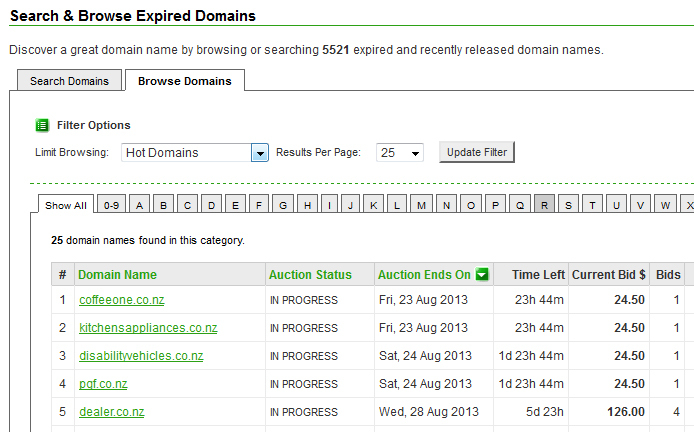 Update: Netfleet have stopped registering NZ domains and are now focused on AU domains only. One of the main tactics you should use to ensure you get the domain name you are after is to bid on both domain snappers. By making sure you are the top bidder on each website no matter which service is quicker you will guarantee yourself ownership of the domain. Before you get carried away buying domain names I recommend monitoring what the market value is for other dropping domains and bid accordingly.